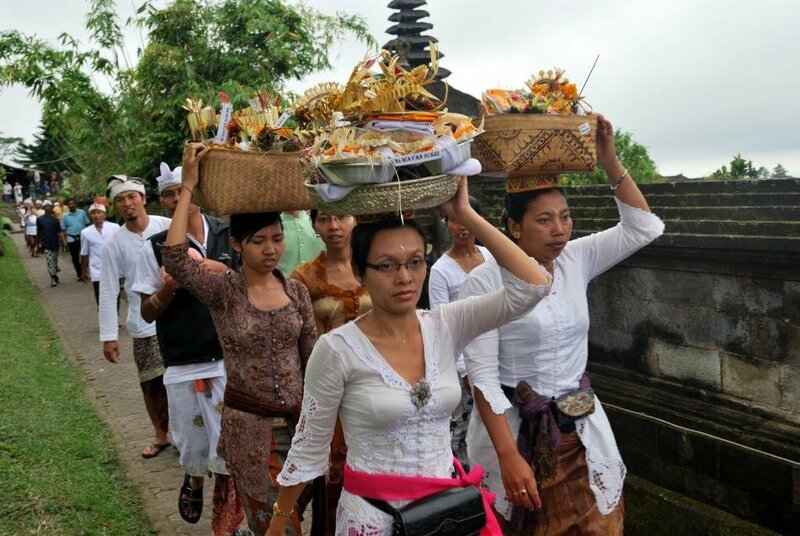 The Indonesian island of Bali is home to the majority of the country’s Hindus. Balinese Hinduism is characterized by the worship of the supreme god Acintya, along with the trinity in Brahma, Vishnu and Shiva. The art and ritual of the Balinese Hindus trace back to influences from the 4th century when Hinduism reached the island’s shores. 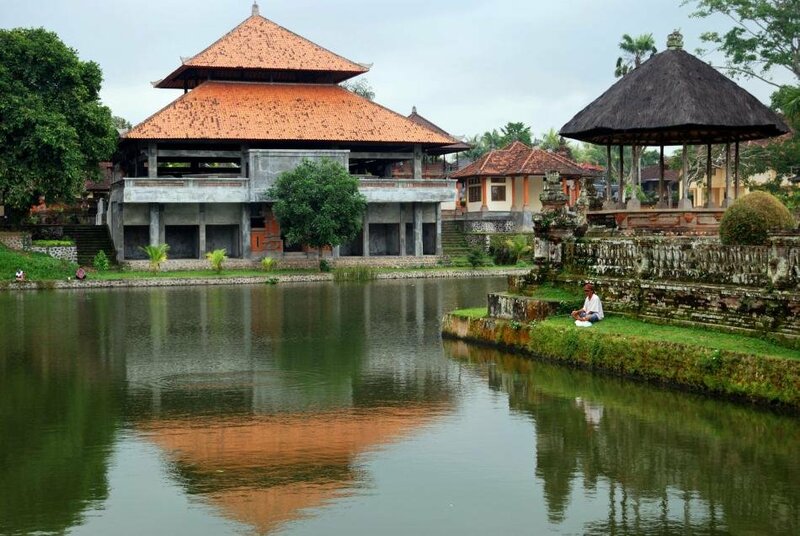 Balinese temples are ornate, beautiful and situated in visually stunning locales. LAKSHMI SHARATH traipses through Bali and returns with these breathtaking picture postcards. If you think India has many shrines, think again. In Bali, Indonesia’s Hindu island, there are temples everywhere – in streets, atop mountains, clinging to cliffs, on the seashore, and in the courtyard of every home. The Mother Besakih temple is one of the most important temples in Bali. It is located atop Mount Agung. It is not just one shrine but a cluster of 20 temples overlooking the villages and the green slopes of the mountain. Balinese believe that the good spirits along with their deities reside here and the shrines resemble houses built for them. Goa, I learned, is pronounced “Guha” as in many Indian languages. It refers to a 1,000-year-old cave excavated here that houses the Hindu trinity of gods and Ganesha, whom the Balinese know as “Gajah” (as in elephant). The 11th century site, called Lwa Gajah, was not discovered until the 1950s and was believed to be a sanctuary of a Buddhist monk. Carved images of the Buddha and smaller shrines and a step-well dot the green landscape here. 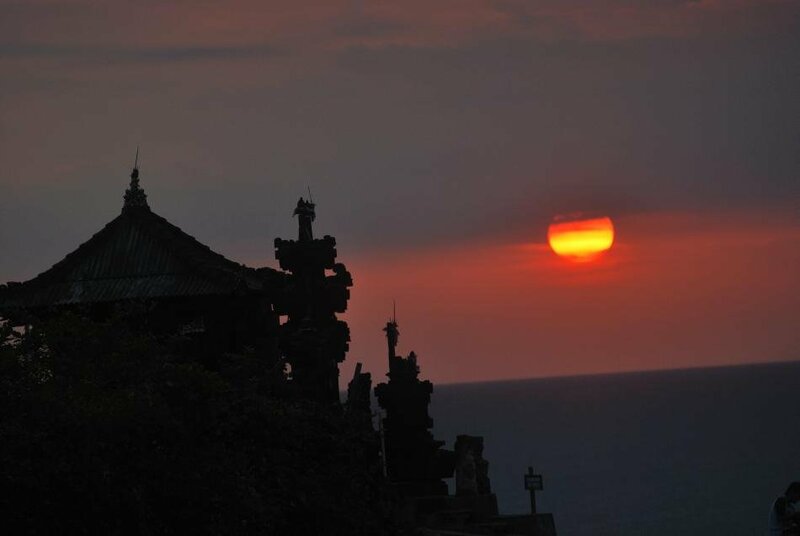 Bali’s shrines are often located in the most exotic landscapes. 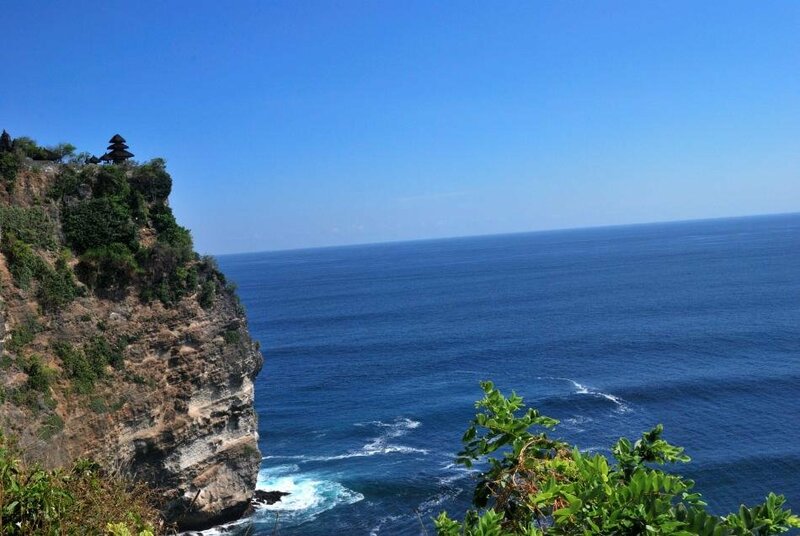 This is Pura Uluwatu right atop the cliff. The scenery is breathtaking as you climb uphill through a small forested area patrolled by boisterous monkeys. 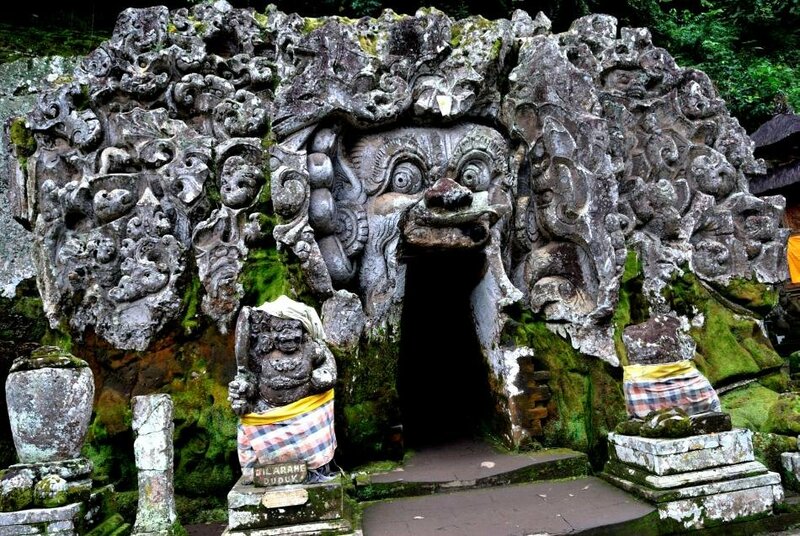 Pura Taman Ayun, literally “beautiful garden”, is the shrine of the royalty in Bali. 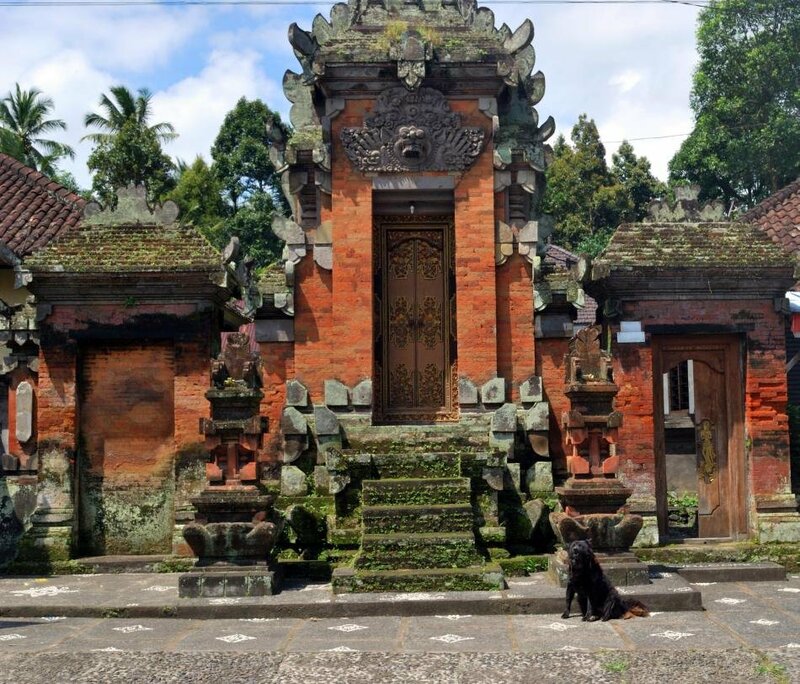 Built in the 17th century, this temple in Mengwi, south Bali, is believed to house the ancestors of the royal dynasty and their family deities. The sounds of performances fill the air as you walk into any of these temples. 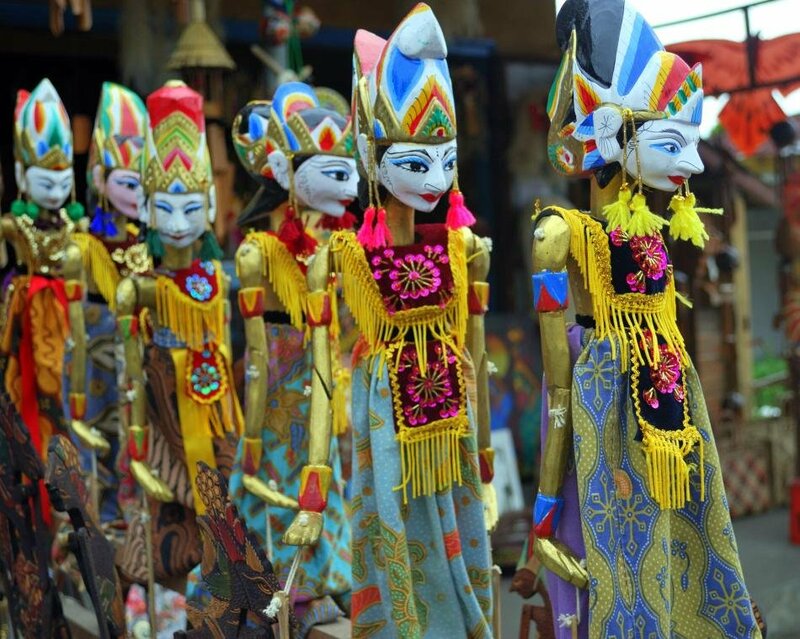 Wayang or shadow puppetry, the Kecak or fire-dance, and various other local dances like Barong, Legong and Pendet are some of the art forms to experience while you visit these shrines. No trip is complete without a glimpse of the spectacular sunset in Tanah Lot temple, a tourist magnet located on a rocky oceanic island. The 15th century shrine, dedicated to the sea spirits, was built under the direction of a priest and is believed to be guarded by snakes. Lakshmi Sharath is a media professional, traveler, travel-writer, photographer and blogger. This entry was posted on January 28, 2012 at 12:32 AM	and is filed under India Forgotten. Tagged: Acintya, Bali, Brahma, Goa Gajah, Hindu, hinduism, Hinduism in Indonesia, indonesia, Lakshmi, Mother Besakih Temple, Mount Agung, Pura Uluwatu, Shiva, Tanah Lot, Vishnu. You can follow any responses to this entry through the RSS 2.0 feed. Both comments and pings are currently closed.